Morning Furniture – If you’re looking for furniture for your home you need a supplier you can trust. Morning furniture is a trusted Ontario store that provides high quality affordable products. 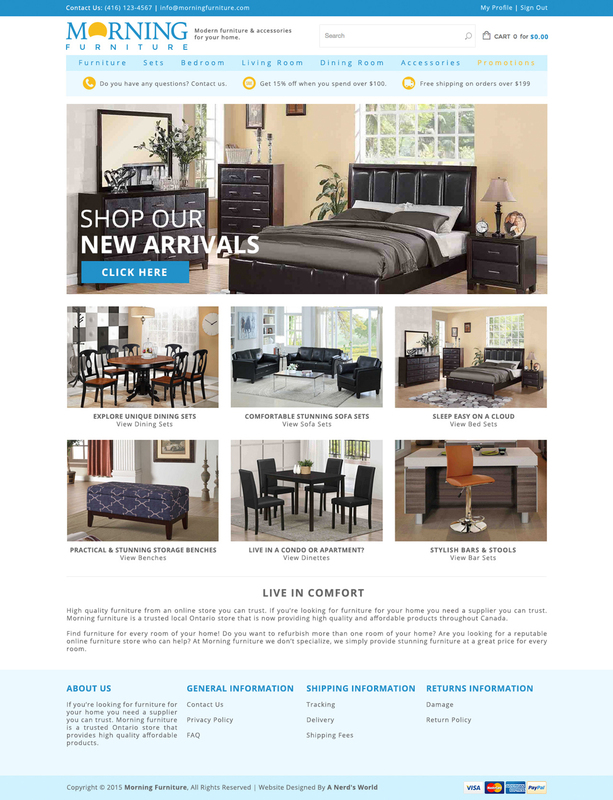 A Nerd’s World was contacted in 2016 to design and build a brand new custom e-commerce for Morning Furniture.